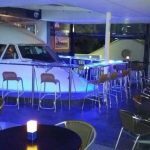 Aviation museum bar and Nightclub. 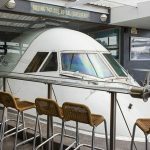 An exclusive venue with unique aviation decor. 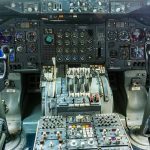 Come experience live entertainment and view our preserved original Boeing 747 Classic Cockpit from "ZS-SAL, TAFELBERG". Bringing a unique experience of one of a kind aviation memorabilia, beverages, craft beer and more. Food menu available daily till 9pm. Live bands Thursday, Friday and Saturday with the Nightclub open from 10pm, hosting local talented DJ's. As a world first, Hi-Flyerz has an original Boeing 747 “classic” ZS-SAL. The 747 cockpit protrudes onto a sunset deck, boasting excellent views of aircraft landing. View our events page to find out what is up and coming at Hi-Flyerz. 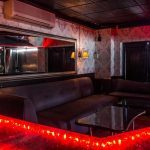 We host both live bands and Dj's. Plan your perfect night with our upcoming events. Please remember to review us on Google to see your review here. A place one can relax with friends or lover. If you enjoy Rock music... A well experienced live rock band with great gigs. Wonderful. I had lots of fun and happy moments at Hi-Flyerz. Keep up the great service and waiters smile. Thank you. Tell us more and we will ensure our team contacts you to set everything up. 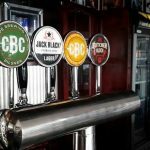 Situated on the premises of Birchwood Executive Hotel and Conference Centre, a mere stones throw away from Oliver Tambo International Airport, Johannesburg. 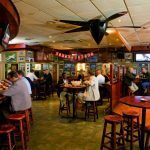 Established in April 2001, is an aviation museum bar and restaurant, situated on the premises of Birchwood Executive Hotel and Conference Centre, a mere stones throw away from Oliver Tambo International Airport, Johannesburg.